Where to work? You are a lucky SLP if you have your choice of settings, but how to decide? I can weigh in on what I’ve learned from working in a school setting, although that was not my first choice. 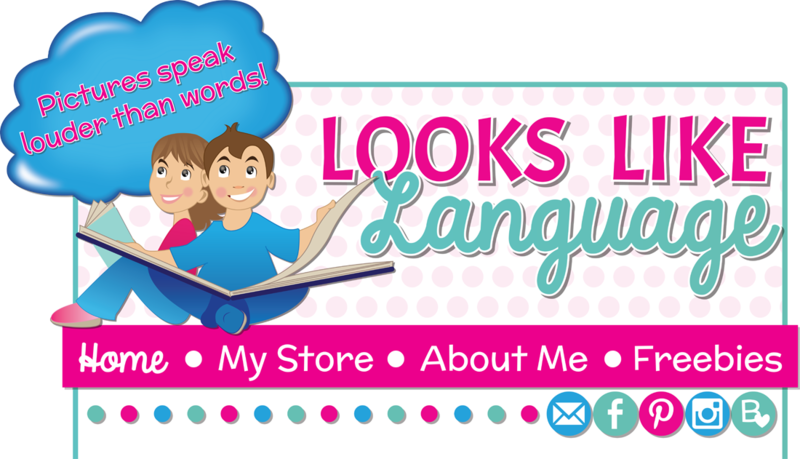 I had always thought that I would work in a hospital setting since in the 80’s school SLPs were looked on as people who corrected lisps and /r/. After my clinical placement at Johns Hopkins Kennedy Krieger Institute, it was my dream to work there. But jobs weren’t available there and a school system wanted to hire me. Nothing like student loans and a need to eat to get you taking any job offered! So, I started in the schools. Time for a disclaimer: An offer to write a blog post came to me from Therapy Travelers to receive money for writing about why to work in the school system. I usually don’t accept these offers, but the thought kept going through my mind- why did I stay in school systems all those years? So, here are my reasons. Two people who respond with their reason will be chosen randomly to receive a $10 TpT gift card! 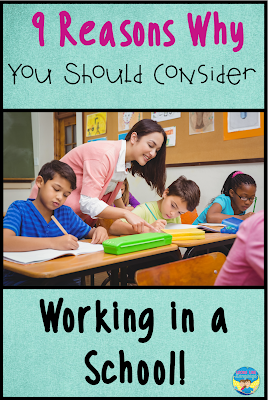 Why work in a school setting? 1. After working in 13 different schools, I can tell you that each school has their own culture. If one building is not a good fit for you, that doesn’t mean that you won’t love working in a different one! 2. You get to work with a wide variety of problem areas and severity levels in a school system. It’s not just /l/, /s/and/r/ anymore! 3. It is a great way to solidify your skills at treating various speech/language disorders in children as a new clinician and possibly using pre-existing IEP paperwork. 4. You can learn a lot over the years by observing special educators and having a chance to talk over problem behaviors with the other members of your student’s related service team even if you are the only SLP in the school. 5. 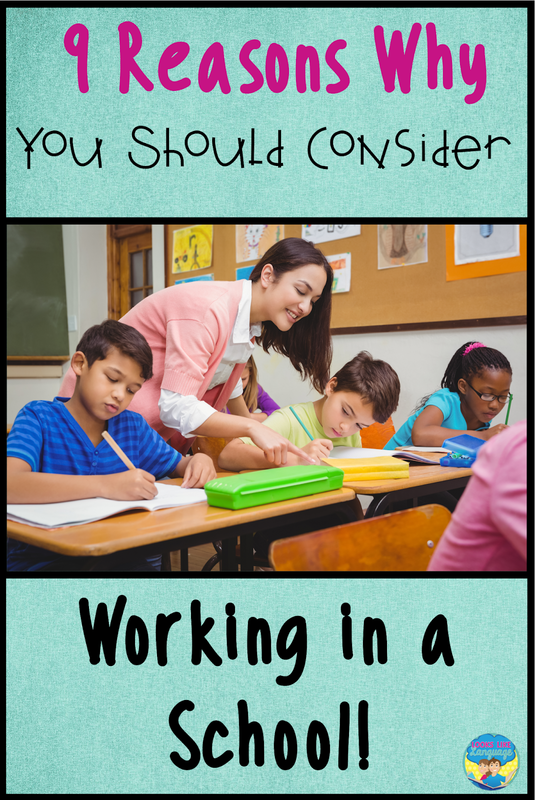 While people mistakenly think that working in a school is a 9 to 3 job, you often have the flexibility of putting in the extra hours for planning and paperwork from home, which is great if you have a family. 6. If you have children, it is very helpful to often have overlapping school day hours and vacations to help reduce the need for child care. 7. Having the steady income and benefits from a school system is a plus, although changes in student population can affect your job even after working in a school for many years. 8. Working in a school broadens your horizons and increases your flexibility. You can make many decisions about your treatment plans, but a variety of factors are out of your control, so you learn to cope. You get exposed to a wider variety of cultures and socioeconomic levels than you would if you only work with private clients whose parents can afford therapy. It helps you learn what a diversified country we live in! 9. While working in 3 different school systems over the years was often hectic, it was never boring! And if you try it and don’t like it, you can always change your mind later and step out into the world of private therapy, keeping your income steady as you build a client base. For me, working in school systems provided a much more interesting career than I ever imagined as a newly graduated therapist. What is your reason for working in the school setting? Two lucky people who respond will each win a $10 TpT gift card!